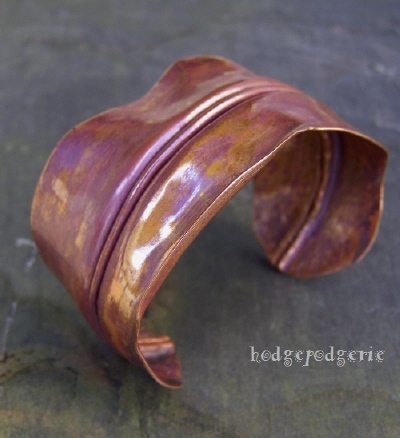 The pink and golden hues in this copper cuff bracelet, created by a heat patina, mirror the colors of a beautiful sunrise. It's a fitting tribute to Aurora, Goddess of the Dawn. 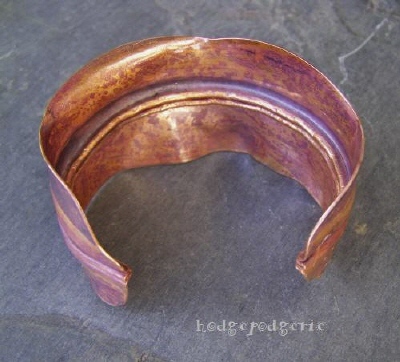 Hand forged from pure copper sheet, Aurora features a Romero Leaf fold and measures 1-3/4 inches wide.. 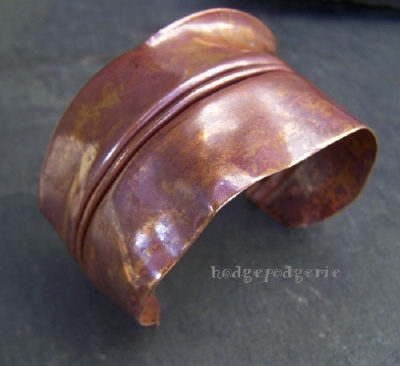 The bracelet is lacquered to protect the finish. 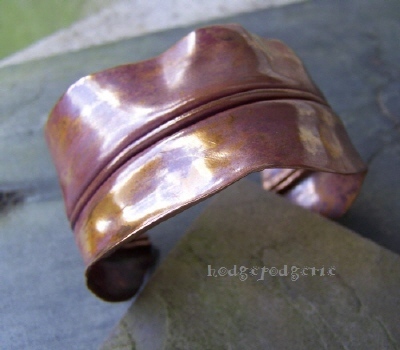 Return from "Aurora Cuff Bracelet" page to "Bracelet Gallery" page.